This tour is now closed for sale! Check out upcoming young alumni trips. Dubai conjures up images of gleaming skyscrapers set against the back drop of the vast Arabian Desert and glistening sea. See Burj Khalifa, the tallest building in the world, set alongside ancient mosques. Bargain for gold, spices and handicrafts at the atmospheric “suqs” markets. Our Arabian adventure continues when we ride nature’s roller coaster— jeeps across the dunes. Overnight in the desert, ride camels, go sand surfing, then feast under the stars with traditional belly dancing. Find out for yourself why Dubai is one of the world’s most intriguing destinations. Dubai is one of the seven Emirates that make up the United Arab Emirates but seems rather like an independent city-state. It has developed at a fast pace and is today the most modern and progressive Emirate in the UAE. Visit this fabulous desert city with an amazing infrastructure and relatively liberal policies. Dubai offers shopping, partying, sunbathing, fine dining, sporting events and more. Discover Dubai's history with a visit to Bur Dubai or climb the world's tallest building - Burj Khalifa. Board a luxurious motor-yacht and enjoy the unique skyline and sandy beaches of Dubai. Stretch out on the roomy sundeck and soak up the sun, dive into the blue water or simply unwind. We will stop along the way at the Burj Al Arab and will have a swimming stop in front of Dubai’s impressing skyline. Our way will take us around “the Palm”, the world’s biggest artificial island. Snacks and non-alcoholic drinks are provided on board and free of charge. Excursion includes 4 hour sailing trip (approx. time: 4 - 8 pm) around the island, snacks, non-alcoholic beverages and round-trip transfers to/from hotel/harbor. On this private city sightseeing tour you will discover the wonders of Abu Dhabi, capital of the Emirates, known as the Arabian Jewel. Jebel Ali Port, the biggest man-made port in the world is one of the landmarks that we pass by on the way to Abu Dhabi. The cost includes a private English-speaking guide, round-trip transportation by air-conditioned motor coach,lunch en route. Tour starts at at approx. 9 am, approx. return to Dubai at 3 - 3.30 pm. Dress Code: Men and women should ensure shoulders and knees are covered when in public, especially in souks, shops and villages. Tight or figure hugging attire is not permitted. Also no transparent or see through clothing is allowed. Photography: Normal tourist photography is acceptable, but it is considered offensive to photograph Arab women. It is also courteous to ask permission before photographing men. Photographs of government buildings or military installations are not allowed. Embark on your overnight flight to begin your Dubai experience. Travelers, who booked a flight with AESU, will be met and transferred to the hotel. Tonight meet in the hotel lobby for a welcome orientation with your tour director and fellow travelers, then join a traditional Arabian ‘dhow’ for an evening cruise. Enjoy a sumptuous welcome feast of Arabic and International cuisine while gently gliding past illuminated souks and palaces. Our local guide introduces us to both the new and the old Dubai on our city tour. On this scenic route we will make photo stops at Burj Al Arab, the famous 7-star hotel and Jumeirah Mosque, the only Mosque allowing non-Muslims to enter. Visit the breathtaking observation deck at Burj Khalifa, the tallest building in the world and a magnificent centerpiece of downtown Dubai. We pass the Sheik’s stunning palace, travel along Dubai Creek, the lifeline and pulse of the city, before taking a stroll through the narrow lanes of Al Bastakiya, the old Dubai. We continue to the Al Fahidi Fort, housing the Dubai Museum. Board a water taxi, called ‘Abra’ to cross the lagoon to see the spice market and visit one of Dubai’s famous landmarks, the Gold Souk. Enjoy an evening at your leisure. Land cruisers pick us up at the hotel for an excursion across the desert of Dubai. There are several photo stops during this exciting drive across the dunes. Upon arrival at the campsite, experience the beauty of the Arabian Desert as it was meant to be seen– on the back of a camel! For adrenaline junkies, no trip to Dubai is complete without at least one slide down a sand dune. Take advantage of the opportunity to experience the exhilaration of one of the most popular sports in the desert - sand boarding! If you prefer a more relaxing activity, try Arabic coffee and dates, have your hands or feet painted with henna or try a typical shisha while watching belly dancers perform by starlight after witnessing a magnificent desert sunset. Settle down for the night in tents and sleeping bags under the stars. Take the opportunity to enjoy the tranquility of the desert by night. 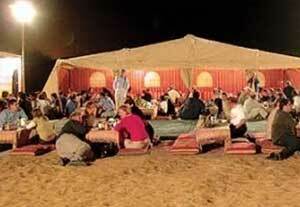 Dubai Desert camping is a unique experience specially designed for nature lovers. Admire the beauty and magic of the Arabian Desert discover a variety of flora and fauna. Tents with sleeping pads/mattresses are set up for the night under the Arabian sky. Suggestion: Pack a flash-light, a change of clothes and a sweater for the night. Camel rides, dune surfing, belly dancing, beverages, henna painting and more! *Overnight camp subject to weather conditions - heat index. Upon return to Dubai, enjoy some of the best, biggest, most luxurious, elegant, yet affordable malls in the world. Dubai Mall offers more than 1,200 shops and a multitude of restaurants and cafes. Dubai is land of sun and sand, so beaches form the most attractive part of its beauty. We check into our hotel this afternoon. The hotel is located at one of the world’s best and certainly Dubai’s most famous beach, Jumeirah Beach Park. Enjoy the remainder of the day exploring your hotel, laze on the beach, or partake in optional water sports activities. Take in the sun for another day. Consider an optional excursion to Abu Dhabi. For those joining our option, we leave from the hotel at approx. 9 am in the morning and return in the afternoon. The capital of the United Arab Emirates is a fascinating mix of tradition and progression, from the majestic Sheikh Zayed Grand Mosque and the traditional Heritage Village, to the magnificent Emirates Palace Hotel. See both faces of Abu Dhabi in this introduction city tour. 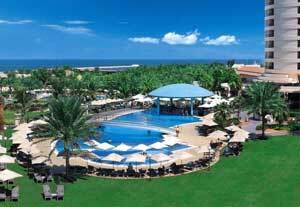 Enjoy idleness and the gentle breeze from the sea at your hotel’s swimming pool or Jacuzzi. The magnificent beach directly in front of your resort offers many watersports facilities. Later on relax and enjoy an optional cruise onboard a luxurious motor boat. Take in spectacular views of Dubai’s coastline as you sail around Palm Jumeirah, the world’s largest man-made island which has doubled the coastline of Dubai. At tonight’s farewell dinner, watch the chefs prepare your favorite dish with a new twist while you sample a variety of sumptuous international dishes. Finish your exciting culinary journey with heavenly international desserts. Today we transfer to the Dubai International Airport for our return flight home. Most flights to the US leave Dubai just after midnight. After check-out, your luggage can be stored with the hotel and you have access to all public hotel facilities until we depart for the airport. Travelers, registered for a transfer, meet in the hotel lobby and transfer to Dubai International Airport. We board our flight home with memories of one of the world’s most intriguing destinations and plans for your next journey! Afternoon tea at STAY by Yannick Alleno: This tea in the beautiful environs of STAY offers a jaw-dropping array of teas and fair-trade coffee, as well as French pastries. Tue-Sun 3pm-6pm. One & Only The Palm(04 440 1010). The best way to see the Europe is by private deluxe motor coach. Door-to-door service with all the spectacular scenery in between. Our modern fleet of Mercedes, Volvos (or comparable) coaches for continental Europe are air- conditioned for your comfort. Enjoy deep-cushioned reclining lounge chairs, wide panoramic picture windows and a built-in stereophonic sound system. Our drivers are picked for their experience, skill, dependability and personality. Travelers to other exotic destinations enjoy modern mini vans or motor coaches for the transfers between each location while safari guests are transported in 4 x 4 land cruisers. Many programs also include the fun of travel by ship from Italy to Greece or along the Rhine River, sleek trains or cable cars, private sailing yachts in the Greek Isles, bicycles in Holland, and jeeps in Dubai, just for the fun of it. The majority of transportation on other programs is also by private deluxe motor coach unless stated otherwise in the respective itinerary ( i.e. : mini vans in Costa Rica). Please see each tour page for exact details. Enjoy your journey with a professional driver at the wheel. Enjoy the scenery and view mountains and valleys, cities and villages through panoramic windows. Our luxury, air-conditioned motor coaches provide you with stylish and comfortable seats. Eurostar is the high-speed rail service directly linking the UK to France via the Channel Tunnel. It started operating in 1994, providing city center to city center services. Eurostar departs from London's St. Pancras Station. Fast journey times London-Paris in 2 hours 15 minutes. Journey from Paris to Nice on a TGV high-speed train in just over 5 hours. Enjoy air-conditioning and modern seats as you pass through the French countryside at up to 200 miles per hour. Other intercity trains in Europe travel at speeds of up to 125 mph featuring individual seating or in groups of four sharing a table.Travel by rail in Europe is efficient and fun. Greek ferries are used to travel from southern Italy to Greece. Departures are from Bari and Brindisi, Italy. Normal accommodations are 4-share on all vessels. Sea travel is fun and ships have amenities to make certain that you have a great time starting the moment you step on board including swimming pools, discos, bars and casinos. Traveling by bus is one of the best ways to get around in these locations. Depending on group size, you will travel by mini-van or motor coach. Both are comfortable and safe means of transportation with local expert drivers. All vehicles are air-conditioned. What to do during your free time? For more details or current local events talk to your tour director or your local city guide. 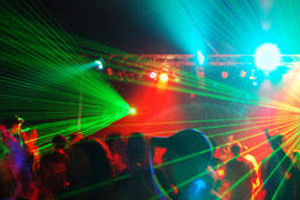 They are always the best source for free-time activities and offer great tips on restaurants or local hang-outs. Traveling on this trip will introduce you to some native cuisine, including local specialties. You'll be given a complete hotel address list with your final documents. Properties are subject to change and any substitutions would be the equivalent of those listed. *Single supplement only applies if single accommodations are requested. Independent hotel reservations, special tours and FIT tours always apply a single supplement. Please check your itinerary. 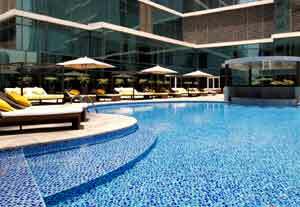 Featuring panoramic views of Burj Khalifa, the luxurious Indian themed Taj Dubai is situated in the heart of the business bay area just a stone’s throw away from the Dubai’s famed Downtown area and Dubai Mall, that can easily be reached with the free shuttle bus that the hotel operates. It includes an outdoor pool, a spa and wellness centre. Guests can enjoy free WiFi access in all areas of the hotel.Taj Dubai offers modern and luxurious accommodation. Each room here will provide you with air conditioning, a minibar and a seating area with a flat-screen TV. Featuring a shower, the marble bathroom also comes with a bath and 2 sinks. Dubai Desert camping is a unique experience specially designed for nature lovers. Admire the beauty and magic of the Arabian Desert, discover a variety of flora and fauna.Tents with sleeping pads/mattresses are set up for the night under the Arabian sky. In the morning, after a light breakfast, we continue to the beaches of Dubai. Suggestion: Pack a flashlight, a change of clothes and a sweater for the night. Please note: Depending on weather conditions and heat index, overnight at desert camp may be substituted with stay at Dubai City hotel. Overlooking the Gulf, this 5-star resort features 14 international restaurants and bars. Its Roman-themed spa offers saunas and 5 hammam pools. Free Wi-Fi is available. Rooms are spacious, equipped with 42’’ LCD TVs and DVD players, air-conditioned and each has a balcony and minibar. Enjoy a swim in the infinity pool or practice watersports. The spa offers various treatments including reflexology, facials and aromatherapy at an additional fee. If you purchase your own airfare, book your overnight flight from the USA one day earlier than the tour start date listed above. * Price per person based on a twin share room. If you're traveling alone, and do not want to pay the single supplement, AESU will attempt to arrange a share with a same-gender traveler. If no travelers are available to share, a single supplement of $795 will apply. Airfare is not included in land price. If you choose to book air with AESU, after receipt of your land booking, AESU will email you a quote with your tour confirmation invoice. You will have 72 hours to accept or decline airfare. (Or call AESU at 800-638-7640 for a quote prior to booking). Purchase your airfare from AESU and receive free arrival/departure transfers between the airport to your hotels. We also try to book you on the same flights as others traveling on your tour. Land only participants BOOKING OWN FLIGHT OVERSEAS, DO NOT receive airport arrival/departure transfers. If you book land only with us, book your flights from the USA one day earlier than the tour start date. If you are not booking flights through AESU, we recommend not booking airfare until your tour is guaranteed (This will be noted on website with “guaranteed” next to tour start date). Click on a date above to get a quote or make a reservation. You can make your $500 deposit ONLINE to confirm your space on the land tour. Full payment isn't due until 100 days before departure, and you or friends and family can make partial payments after you've booked (See NOTE below if within 100 days). Or you can scan/email or fax a booking form. If you just want a quote and don’t want to secure a spot on the land program, select date above and click “Get a Quote” button on next page. NOTE: Reservations to be paid in full 90 days prior to departure. Reservations received after this date are subject to availability and any airfare quote can only be held for 72 hours. Payment in full, for late reservations, will be due upon receipt of invoice from AESU. A late booking fee of $100 per person will apply. To download a copy of the Terms and Conditions Click here. PAYMENT PLAN: pay a little at a time and make your trip more affordable. After paying a deposit of $500 online to reserve your spot, you can pay your balance in as many installments as you like, with a minimum of $100 for each transaction with no fee. Please indicate booking number on your check payment. If you prefer to pay installments by credit card, please call us at 800-638-7640 for details. (All prices reflect a cash discount. There is a 4% processing fee for any payments made by credit card after initial deposit.) The total tour cost (land, and air if applicable) must be paid in full at least 90 days before departure. You have chosen to amend the arrival and/or departure date of the selected tour program. As a result, you will need to arrange additional accommodations and/or transfers service which may be done via Gate 1 Travel, where available, or independently. Destination Dubai to a friend! © 2019 AESU, Inc. All Rights Reserved.